Around The World: Where NOT To Rent! A List of Places Around the World to Avoid at All Cost. 1. 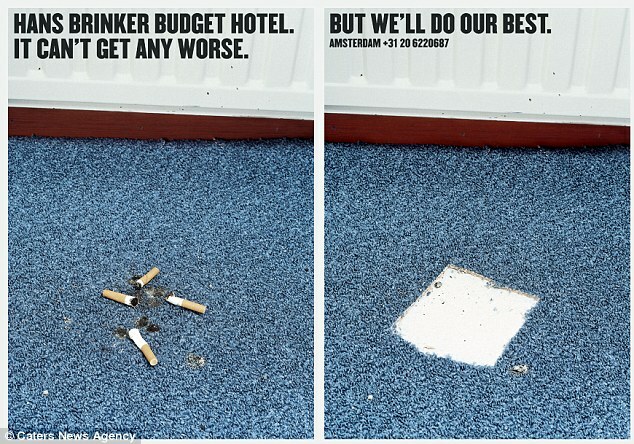 Hans Brinker Hostel – Amsterdam NL. This case-in-point is truly funny. This hotel actually boasts of its atrociousness. It houses filthy rooms and voluntarily lets guests use the curtains instead of hand towels and encourages them to dry themselves with the shower curtains to save on washing. Ironically, customers can never claim they weren't warned. To prevent complaints, the owners of the $22.50 (£18)-a-night hotel feel it is best to tell people in advance about what to expect, knowingly warning people of potentially-fatal diseases. 2. Boulevard Hotel Ocean Drive – Miami Beach, Florida US. The South Beach hotel welcomes customers with red-and-pink neon, creating an art-deco atmosphere at this 3-story hotel just across the street from the beach at Lummus Park. Perfectly located. But watch out! It houses dirty rooms with actual glass under flooring the bed sheets. One visitor was stabbed in the bottom, as pieces of glass broke up! 3. Airbnb – Santiago de Los Caballeros – Dominican Republic. First of all, be very careful when booking in relatively-low economic-performing countries. Second, although some rental properties might be marvelously-catered for, others will give you a taste of hell. The cherry on the cake was the showering; when the apartment’s shower wouldn’t work, the owner announced they could shower on communal roof showers. 4. Room - Kwai Chung district – Hong Kong. Hong Kong is famously known for its tiny flats, segmented for many families to live in adjacent rooms smaller than a parking space. Single units are split into multiples for lucrative letting. This 30-square-foot apartment in Hong Kong is tops the list as the worst apartment in the world. Opening the door alone fills up the space in the room, with nearly no standing space at all and barely spacious enough for you to lie down on the floor. It’s still asking $250 per month to rent, albeit consisting of a toilet, a sink (reachable from the toilet) and a patch of floor with a partial wall in between. Storage is extremely limited, with merely a shelf space above the sleeping area and a locker located in the hallway. On the plus side, getting up in the middle of the night to use the toilet is a truly short trip! 5. Goldkist Beach Resort, Singapore. Guests here complain about the smell in the Goldkist Beach Resort. Including reports of maggots squirming around the garbage bins. Though the hotel boasts a free continental breakfast on their marketing materials, many guests complain there was no breakfast available during their stay. What more? You might find a homeless person sleeping next to your towel as you sun yourself on the hotel’s beachline.